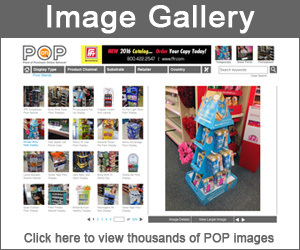 Popon is pleased to bring you our 15th installment of cool POP displays, trends and ideas. Our vigorous store checking schedule presents us with numerous interesting examples of designers and brands coming together to deliver outstanding promotional materials that we like to share with our audience of dedicated POP professionals. As always, if you are interested in showcasing some of your unique designs and promotions, do not hesitate to contact us for more details. Sally Hansen released a limited edition line of nail polish for New York Fashion Week which was held this past September. Available at most major retailers, the collection consisted of three sets of polishes: Fall Pastels, Glam Sequins and Dark Romance. 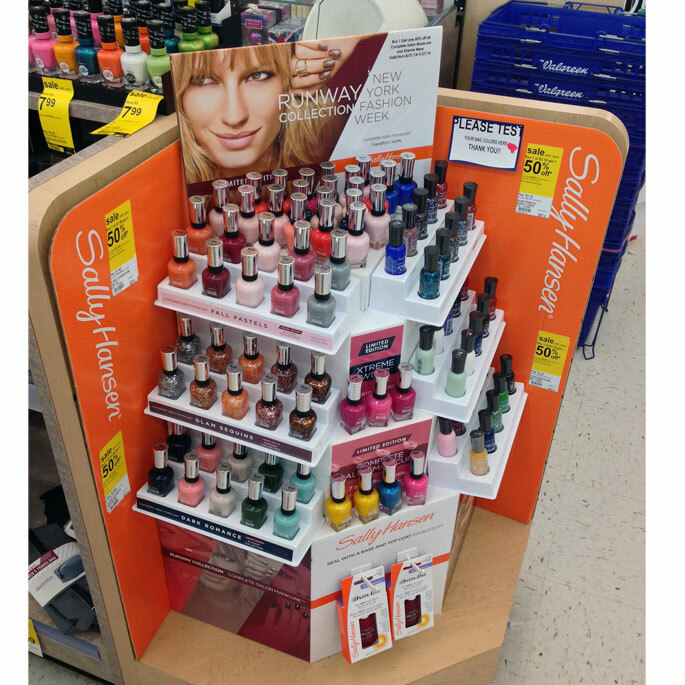 The semi-permanent display shown here was featured on a Walgreens Etagere Fixture in the cosmetic category. Shaped like a tiered wedding cake, the display shopped from 3 sections and neatly organized the grouped nail polish lines. Shoppers who made a purchase from this display were offered a Buy 1 Get one 50% off on all Complete Salon Manicure and Xtreme Wear products. 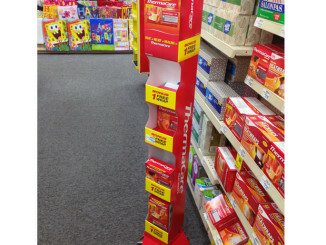 Another Walgreens entry, Werther’s Original Caramel secured retail space within a dump bin fixture to promote a special vacation giveaway to win a trip to taste your way around the world at the EPCOT food and wine festival. 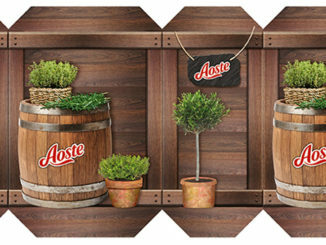 Promotional space for the giveaway was called out graphically on the upper sides of the display and also with entry tear pads that were affixed to the product bins. 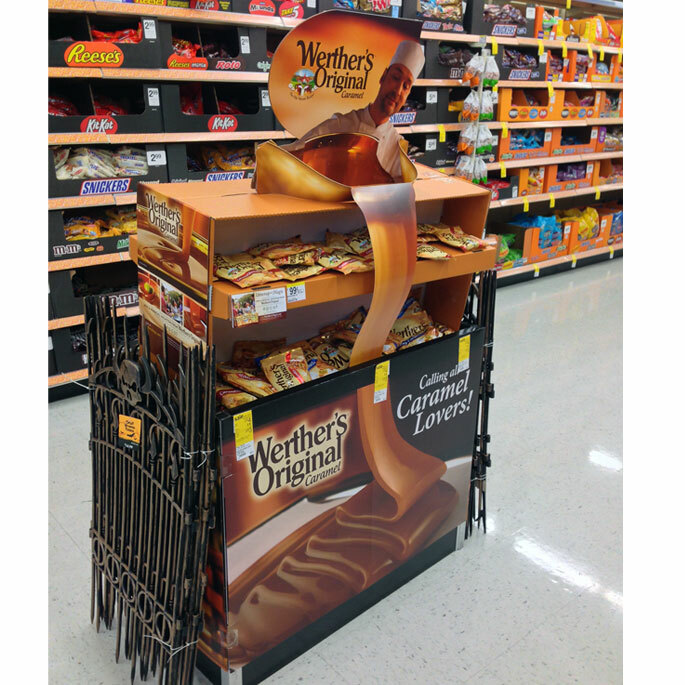 The highlight of this display is the dimensional ‘candy chef’ pouring a thick stream of caramel over the product shelf and into the base……great tie-in that provides an old world charm which Werther’s products are known for. Since she came to life in 1974, Hello Kitty has grown in popularity across the globe. 40 years ago, Sanrio Co, which specializes in promoting a wide range of products in the flourishing “cute” business, created the iconic character who continues to expand her fan base across several marketing channels. 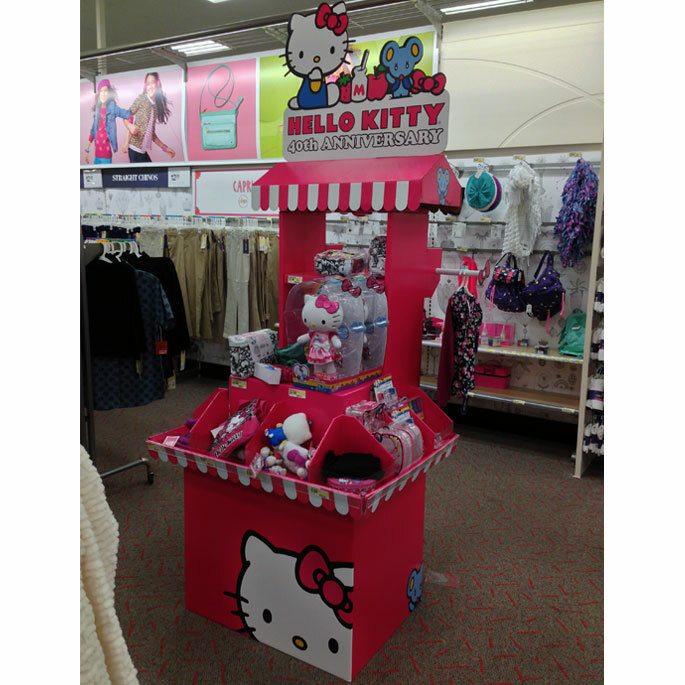 Staying ahead of social and fashion trends, Hello Kitty made a celebratory appearance at Target stores with a 40th anniversary floor merchandiser. This sturdy floor display was spotted in the apparel section and held a variety of products such as accessories, dolls and clothing. 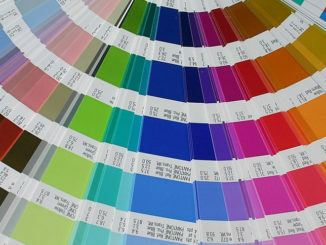 Brand colors and sheer size made this display an instant draw to loyal Kitty followers. 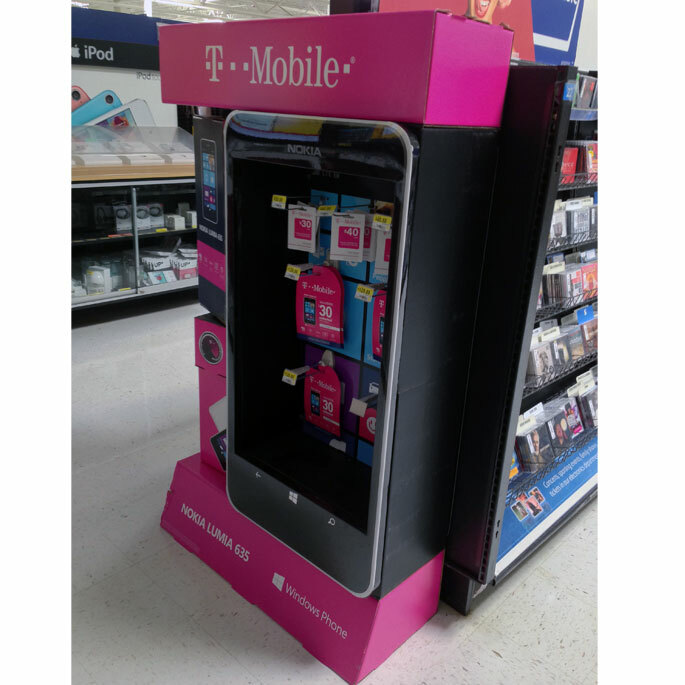 T-Mobile has been hitting the retail floor with several great POP displays. The product replica floor display shown above was created to promote the Nokia Lumia 635 cell phone. This floor stand has several nice attributes going for it. On the left, spinning information cubes created interaction with shoppers. 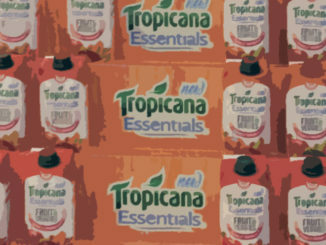 The right side was designed to resemble the actual face of the product and also featured a graphic back panel with Windows apps printed on it. 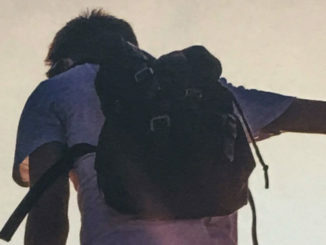 Created in 2010, Sun Bum is a lifestyle brand of sun protection products specifically formulated for people who live and love in the sun. Their extensive product line features lotions, creams, balm, gels and stick formulas……all endorsed by the Skin Cancer Foundation. Merchandising several flavors of their Lip Balm products, Sun Bum is expanding its presence at sporting goods retailers with this very cool counter display. 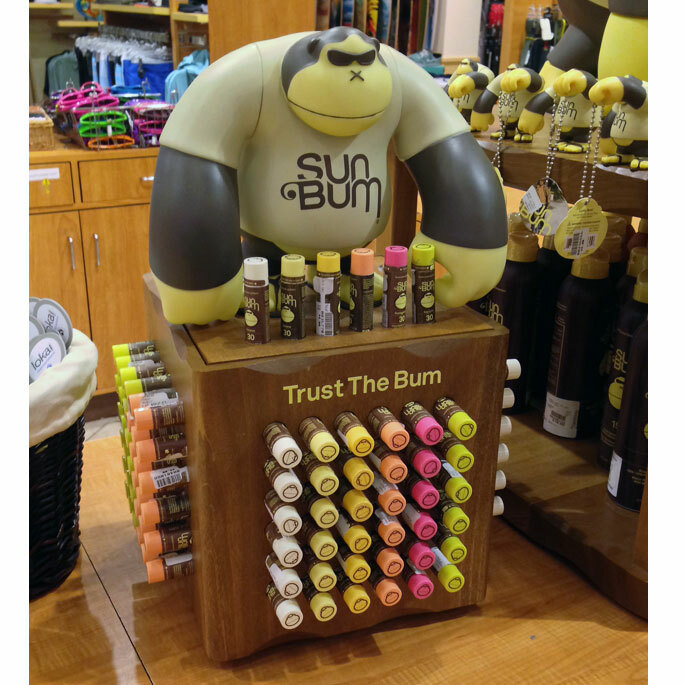 The wood display features the brand mascot, Sonny, overlooking the Lip Balm line which was well organized and easily accessed by variant. In July 2014, P&G extended its presence in the sinus and allergy category with the launch of QlearQuil. Marketed under the billion dollar health care brand Vicks, QlearQuil is a new family of powerfully effective medicines that cover a wide range of sinus and allergy symptoms. 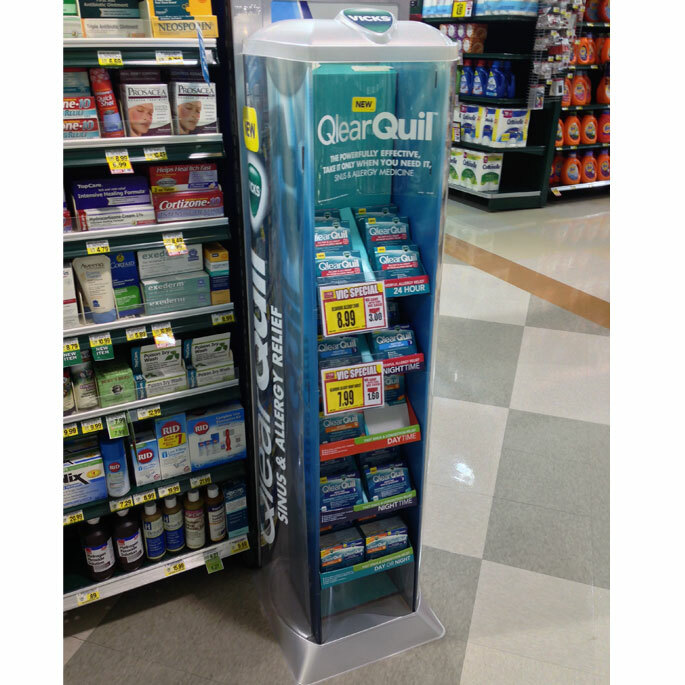 To create off-shelf exposure, P&G introduced the brand with this high-end floor display. Produced using a combination of printed corrugate and plastic, the floor display conveys a sense of ‘Qlearness’ which was achieved with printed plastic wraps on the sides and front of the unit. 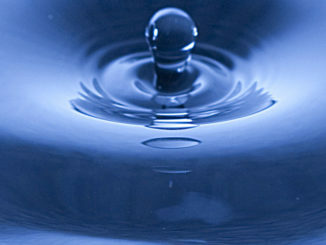 Variant specific corrugate trays merchandised the products using a waterfall design. Two vacuum formed caps, one on top and the other on the bottom, completed the look.